It’s not easy packing for a trip. You’ve got to somehow plan out everything you are going to need for the duration of your stay. That includes your clothes, toiletries, and all the rest. You don’t want to pack in a rush and forget important items. On the other hand, you don’t want to bring too much with you, either. So, how can you strike the perfect balance? Use this handy to-do list. It will go through everything you need to bring along with you. What could be simpler? 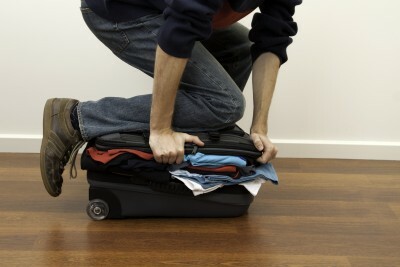 To start the packing process, you’ll need to think about your trip. How long are you staying for? What is the weather like where you’re going? The answers to these questions will determine what you need to pack – and how much. If you are staying in Jamaica for a week, for example, you’ll need a weeks worth of clothes that suit the warm climate. It’s all about being prepared for your trip. Give it a little thought. It will help you pack appropriately. What you pack is just as important as how much you pack. So, it’s time to get down to the nitty gritty. If the weather is hot, you will want to bring lightweight clothing that is either sleeveless or short sleeved. Shorts, skirts, and capris are a must as well. Just in case, you may want to pack one pair of pants and a light jacket or sweater. That way, you can add a little extra warmth if you find you need it. If you are going somewhere with cooler weather, you’ll want to bring clothing made from heavier materials and a mixture of short sleeved and long sleeved tops. Pants are a must as well! Bring some jeans, khakis, or leggings for women – that way you can look presentable and still stay warm. In addition, you will want to bring two or three sweaters, depending on your length of travel. A warm jacket is a good idea, along with a hat, mittens, and a scarf, depending on your destination. Next up? Your toiletries. The best way to pack all of these essentials is to step into your bathroom. Take a look at your countertop. Which items do you reach for every morning? Pack them! (Or travel sized versions of those items.) Once you have your day-to-day items, you’ll need to think about any extras you may need to take with you. If the weather there is quite hot, think about things like sunscreen and aloe Vera. Or if the weather is cool and dry, a thick moisturizer is a good idea. Be careful of over packing. Many of us are guilty of bringing along more than we need – especially when it comes to toiletries. Avoid bringing more makeup, hair products, or even too many full-sized products along with you. Once your clothes and toiletries are packed, you aren’t out of the woods yet. You’ll still need to pack shoes, sandals, as well as things like jewellery, books, and other important items. To make sure you’re not forgetting anything, take some time to think about what you are planning to do on your vacation. This will ensure that you aren’t leaving any important things behind! Make packing a snap by following this to-do list. It will help you stay organized…. and prevent you from over packing your suitcase.